After a brief sabbatical around Christmas, the wedding season is here again! 2017 gave us some of the most gorgeous brides ever- Anushka Sharma, Sagarika Ghatge and Amrita Puri to name a few, and the 2018 shaadi season too has started with a bang. Wondering what makes us say that? 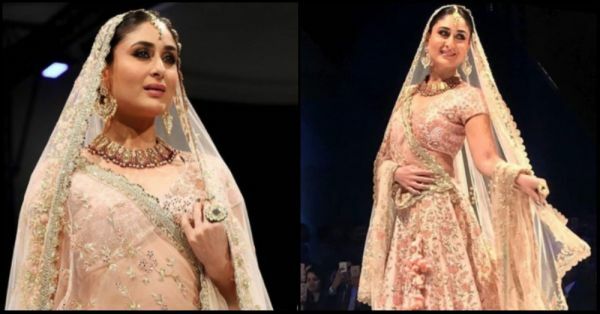 Well, it's all thanks to celebrated Designer Vikram Phadnis who launched his latest bridal collection at the Bollywood Fashion Show of the ongoing Shop Qatar Festival 2018 with Kareena Kapoor Khan as his showstopper. 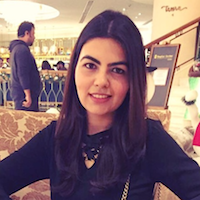 "Main shaadi karungi toh Kareena wala lehenga pehn ke, warna dulhe ko tata, bye-bye kar dungi." Here's presenting every designer's favourite muse- the gorgeous Kareena Kapoor Khan in a beautiful Vikram Phadnis lehenga. Oh my goodness! Doesn't she look resplendent in this embroidered lehenga, teamed with a micro choli and a matching dupatta? She completed her look with a traditional heavy-duty necklace, kundan maangtika, chandbaalis and an oversized ring. With her hair pulled back in a sleek bun and kohl-smudged eyes, Kareena looks like the most beautiful bride we've ever seen. "Kareena is somebody who sets the runway on fire. I’ve done so many shows with her and she’s one of the easiest people to work with, in the industry." Prior to the show, Vikram told The Penisula Qatar that he will be closing the show with 25 of his latest creations, including Kareena’s outfit which is set to be different from the rest. Her styling, the way she'll be presented on the runway will be completely different from the rest of the models. He added that the collection is a departure from what he usually does, which is typical Indian clothes. Well, there may be plenty of pretty brides but honestly, no one can ace Kareena Kapoor Khan and her style. She is definitely the one all brides aspire to be or at least me, if not anyone else. How many of you are with me?